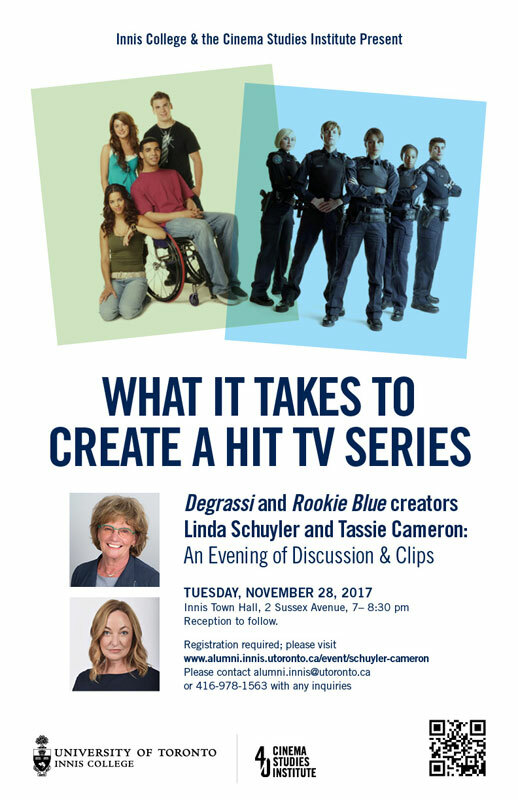 Innis College and the Cinema Studies Institute present What it Takes to Create a Hit TV Series: An Evening of Discussion & Clips withÂ DegrassiÂ andÂ Rookie BlueÂ creators Linda Schuyler and Tassie Cameron on Tuesday November 28th at 7PM. Doors will open at 6:30PM. Reserve your spot for this free event here.